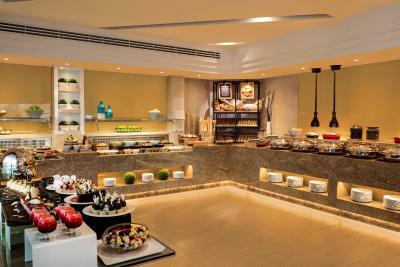 Lock in a great price for Jumeira Rotana – Dubai – rated 8 by recent guests! 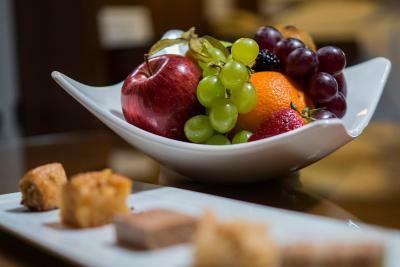 Honestly i like the place and I thought the hotel is bored and i got surprised actually that what i wanted, from relaxation and calm night great services more than great and i had perfect treats by the reception nice and kind. Special thanks to Mr Mohsen and Fairooz, and all the team work. 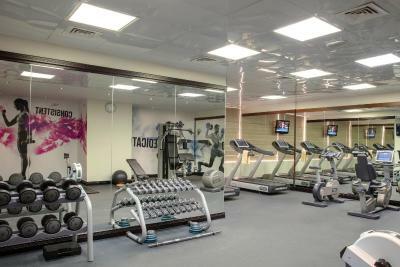 Friendly Staff, spacious clean room, Dubai Skyline view. Clean and comfortable. Staff make sure thAt they will be there to assist you with anything you need , they smile make you feel so welcome every time. 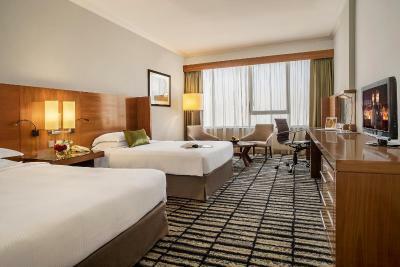 Jumeira Rotana – Dubai This rating is a reflection of how the property compares to the industry standard when it comes to price, facilities and services available. It's based on a self-evaluation by the property. Use this rating to help choose your stay! 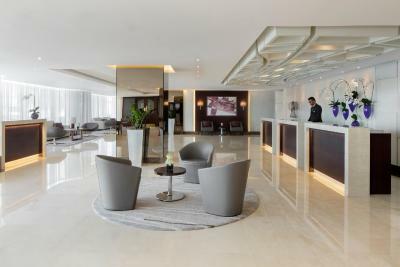 Discover the art of modern day living at Jumeira Rotana Dubai. 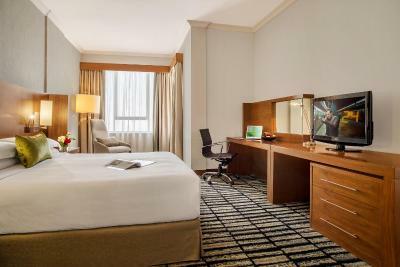 This 4 star Dubai hotel exceeds the standards in its category where exceptional comfort, bonafide customer care service and delectable cuisine are meticulously provided with lavish style for holidaymakers, businessmen and people from all walks of life. 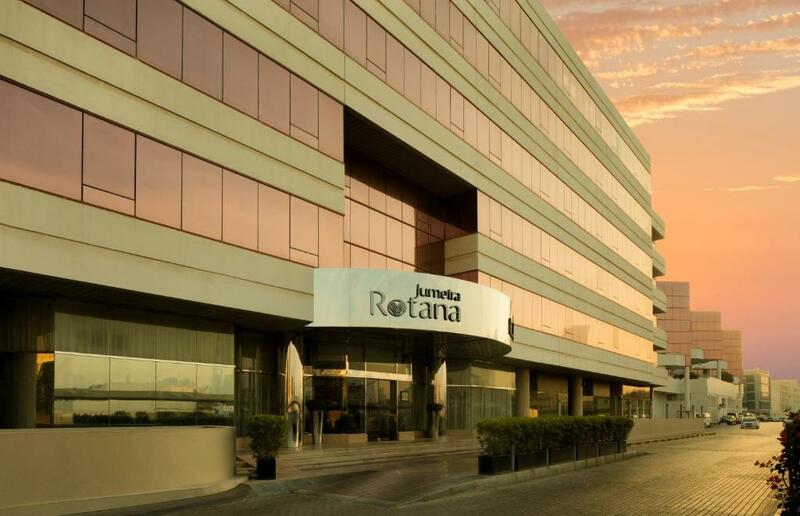 Jumeira Rotana is located only a 10 minute drive away from Dubai International Financial Center and Dubai World Trade Center which makes the property an ideal location for businessmen. For leisure guests, Jumeira Rotana offers complimentary shuttle bus to La Mer Beach on week days only, one of Dubai's most iconic beaches. 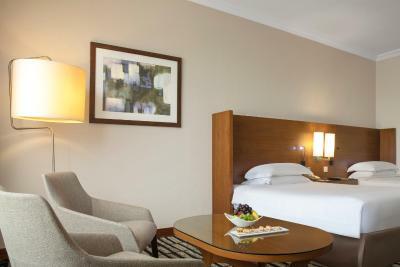 Rooms at Jumeira Rotana - Dubai offer modern décor and LCD TVs. 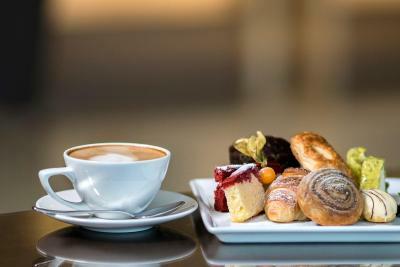 Each has a seating area with work desk as well as tea and coffee making facilities. 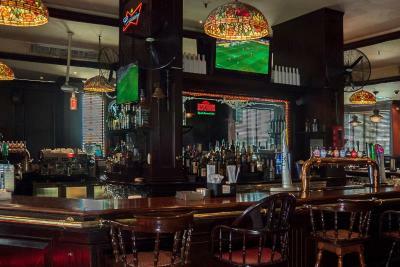 Olive Oil is an all-day dining restaurant, serving breakfast and dinner with special theme nights and mouthwatering dishes from around the globe. 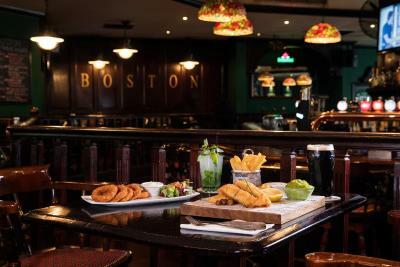 Boston Bar and Restaurant serve a la carte American and British dishes. 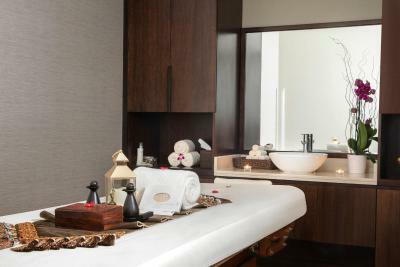 Guests can enjoy a swim in the temperature controlled rooftop pool or work out in the well-equipped fitness center or enjoy a relaxing massage or beauty treatments in the Softtouch Spa. 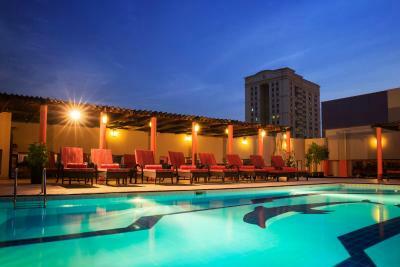 Jumeira Rotana - Dubai is a 7.5 mi drive from Dubai International Airport. The World Trade Center and Exhibition Halls are 1.4 mi away. 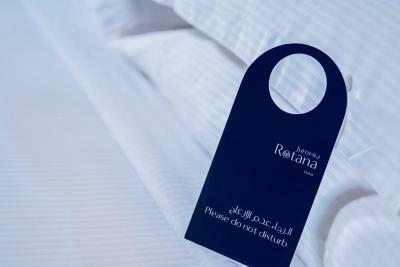 When would you like to stay at Jumeira Rotana – Dubai? 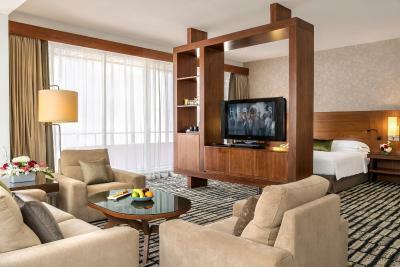 This room comes furnished with a king size bed and a flat-screen TV. 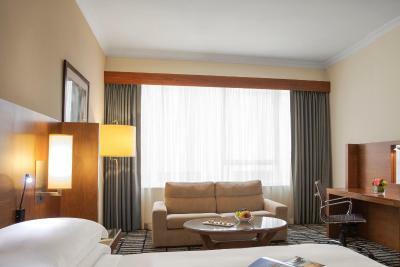 Room allocations for King Bed or Twin Bed will be subject to availability upon arrival at the hotel. Defined by extra space and enhanced comfort, this stylish 73 sqm suite offers a king-sized bed, large sitting area and a guest bathroom. 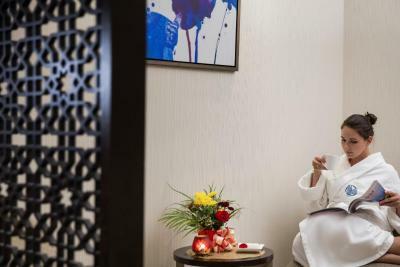 It includes DVD player, newspaper, daily housekeeping service, fully stocked mini bar, coffee/tea making facilities, in-room safe, flat-screen LCD TV, WiFi, satellite TV channels, bathrobes, hairdryer and IDD service. 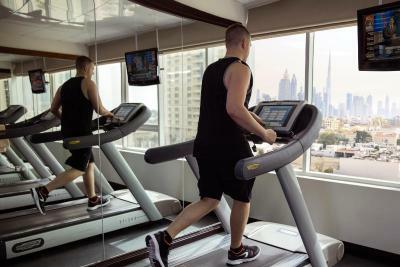 This air-conditioned suite features one bedroom with a king bed, living room, and balcony with a stunning view of Burj Khalifa and Sheikh Zayed Road skyline. 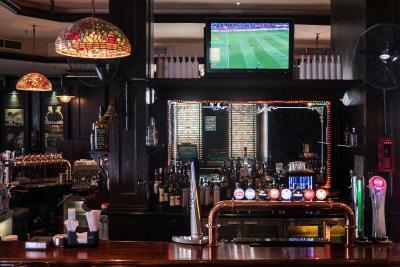 It includes 2 LCD TVs, DVD player, newspaper, daily housekeeping service, fully stocked mini bar, coffee/tea making facilities, in-room safe, WiFi, satellite TV channels, bathrobes, hairdryer and IDD service. 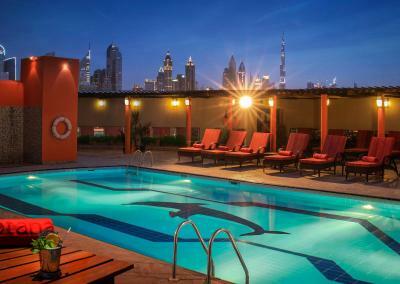 This air-conditioned room offers views of Burj Khalifa, both king and twin bed options. 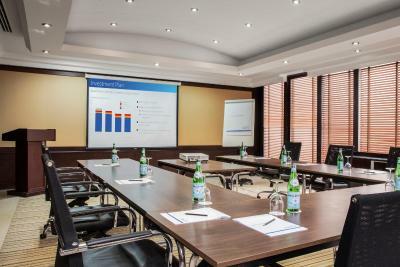 Room allocations are subject to availability upon arrival at the hotel. 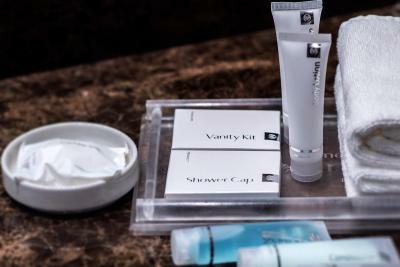 It includes a DVD player, newspaper, daily housekeeping service, fully stocked mini bar, coffee/tea making facilities, in-room safe, LCD TV, WiFi, satellite TV channels, bathrobes, hairdryer and IDD service. 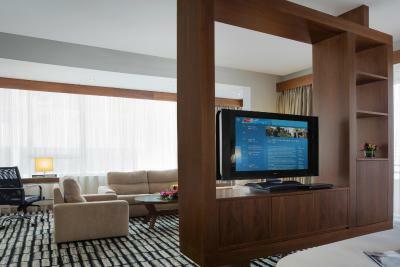 This room comes furnished with twin beds, a flat screen TV and International channels. 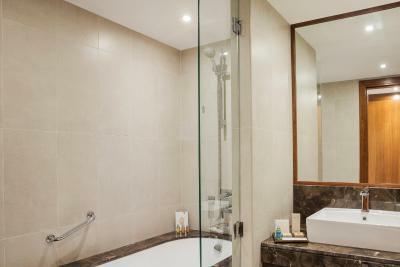 It features daily housekeeping service, fully stocked mini bar, coffee/tea making facilities, in-room safe, flat-screen LCD TV, WiFi, satellite TV channels, bathrobes, hairdryer and IDD service. 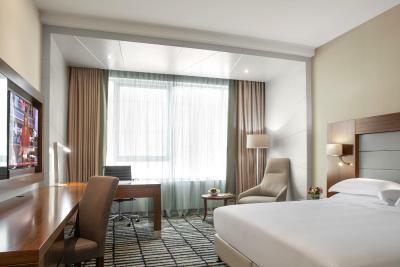 This air-conditioned room offers views of Burj Khalifa and king and twin bed options. 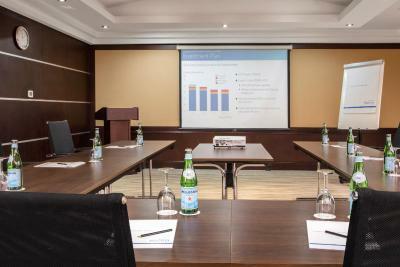 Room allocations are subject to availability upon arrival at the hotel. 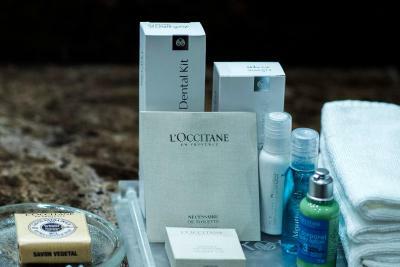 It includes a DVD player, newspaper, daily housekeeping service, fully stocked mini bar, coffee/tea making facilities, in-room safe, LCD TV, WiFi, satellite TV channels, bathrobes, hairdryer and IDD service. 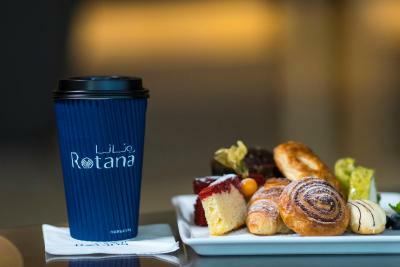 Discover the art of modern day living at Jumeira Rotana Dubai. 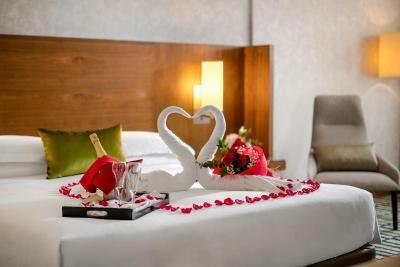 This 4 star Dubai hotel exceeds the standards in its category where exceptional comfort, bonafide customer care service and delectable cuisine are meticulously provided with lavish style for holidaymakers, businessmen and people from all walks of life. Jumeira Rotana is located only a 10 minute drive away from Dubai International Financial Centre and Dubai World Trade Centre which makes the property an ideal location for businessmen. For leisure guests, Jumeira Rotana offers a daily complimentary shuttle bus to Kite Beach, one of Dubai's most iconic beaches. 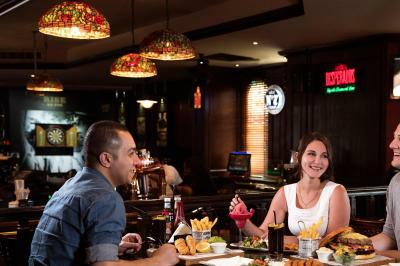 House Rules Jumeira Rotana – Dubai takes special requests – add in the next step! Jumeira Rotana – Dubai accepts these cards and reserves the right to temporarily hold an amount prior to arrival. 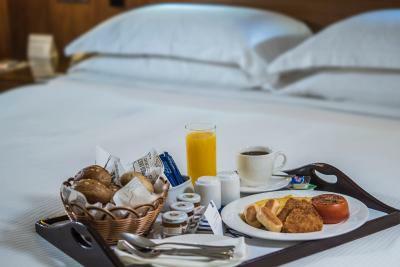 Payment should be made in cash or by credit card upon check-in, where the full amount of the whole stay will be charged. 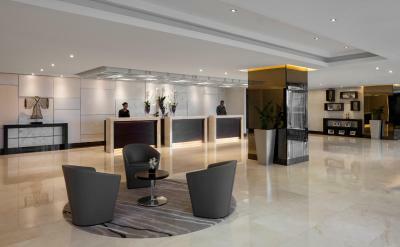 The hotel accepts travelers checks, US dollars and UK pounds. They do not accept personal checks. 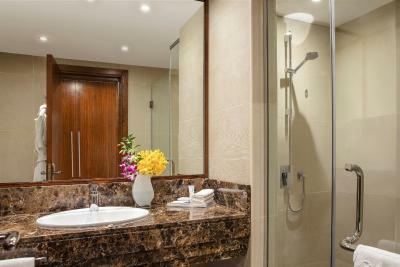 Please note that group reservations of above 10 rooms, kindly contact the hotel reservations department directly. Please present the credit card used to make this reservation upon check-in at the hotel. 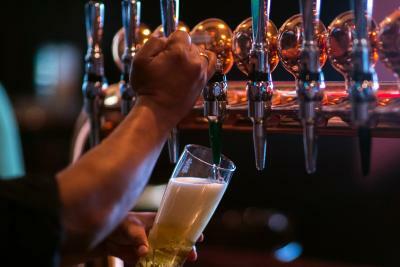 If you are booking on someone else’s behalf, please contact the hotel directly to arrange for third party billing. Jumeira Rotana provides a complimentary shuttle service to the exhibition centers during major events. 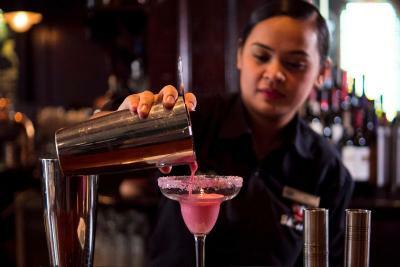 For more information regarding this service, guests are kindly requested to contact the hotel directly. Contact details can be found on the booking confirmation. Please note Shuttle service is available during week days only. It was mentioned a room with a view but all we could see was a building where they have displayed all their clothes after washing .. we could see other building so close so that they could easily see our room if the curtains were open .. the price mentioned in the booking.com showed inclusive of all taxes and charges but during check in the staff charged us more than 100 aed as taxes. .. the room was kinda having alcoholic smell and bath tub was not functioning properly .. the stay wasn’t worth for AED 430 plus... there’s nothing to mention positive about this .. The staffs are so friendly, they even have a cake for my son’s birthday and they greeted him that made him so happy, thank you especially to Ms. Ruby and Ms. Soe who are so accommodating everytime we go there.